In July 1957, U.S. President Dwight D. Eisenhower requested permission from Pakistani Prime Minister Huseyn Shaheed Suhrawardy for the U.S. to establish a secret U.S. intelligence facility in Pakistan and for the U-2 spyplane to fly from Pakistan. A facility established in Badaber (Peshawar Airbase), 10 miles (16 km) from Peshawar, was a cover for a major communications intercept operation run by the American National Security Agency (NSA). Badaber was an excellent choice because of its proximity to Soviet central Asia. This enabled monitoring of missile test sites and infrastructure and other communications. The U-2 "spy-in-the-sky" was allowed to use the Pakistan Air Force portion of the Peshawar airport to gain vital photo intelligence in an era before satellite observation. On April 9, 1960, a U-2C spyplane of the special Central Intelligence Agency (CIA) unit "10-10", piloted by Bob Ericson, crossed the southern national boundary of the Soviet Union in the area of Pamir Mountains and flew over four Soviet top secret military objects: the Semipalatinsk Test Site, the Dolon air base where Tu-95 strategic bombers were stationed, the Surface-to-Air Missile (SAM) test site of the Soviet Air Defence Forces near Saryshagan, and the Tyuratam missile range (Baikonur Cosmodrome). The plane was detected by the Soviet Air Defense Forces at 4:47 when it had flown more than 250 km over the Soviet national boundary and avoided several attempts at interception by MiG-19 and Su-9 during the flight. The U-2 left Soviet air space at 11:32 and landed at an Iranian airstrip at Zahedan. It was clear that the U.S. Central Intelligence Agency had successfully performed an extraordinary intelligence operation. In spite of the negative Soviet diplomatic reaction,[vague] the next flight of the U-2 spyplane from the Badaber airbase was planned to take place on April 29. The weather improved and on May 1, 1960, fifteen days before the scheduled opening of an East–West summit conference in Paris, Francis Gary Powers, flying Item 360, left the US base in Badaber on a mission to overfly the Soviet Union, photographing ICBM sites in and around Sverdlovsk and Plesetsk, then land at Bodø in Norway. All units of the Soviet Air Defence Forces in the Central Asia, Kazakhstan, Siberia, Ural and later in the U.S.S.R. European Region and Extreme North were on red alert, and the U-2 flight was expected. Soon after the plane was detected, Lieutenant General of the Air Force Yevgeniy Savitskiy ordered the air-unit commanders "to attack the violator by all alert flights located in the area of foreign plane's course, and to ram if necessary". Due to the U-2's extreme operating altitude, Soviet attempts to intercept the plane using fighter aircraft failed. Moreover, the U-2's course was out of range of several of the nearest SAM sites, and one SAM site even failed to engage the violator since it was not on duty that day. The U-2 was eventually hit and brought down near Degtyarsk, Ural Region, by the first of three SA-2 Guideline (S-75 Dvina) surface-to-air missiles fired by a battery commanded by Mikhail Voronov. The plane's pilot, Francis Gary Powers, successfully bailed out and parachuted to safety. Powers carried with him a modified silver dollar which contained a lethal, shellfish-derived saxitoxin-tipped needle, although in the event he did not use it. In bailing out, he neglected to disconnect his oxygen hose and struggled with it until it broke, enabling him to separate from the aircraft. He was captured soon after parachuting to earth in Russia. The SAM command center was unaware that the plane was destroyed for more than 30 minutes. One of the Soviet MiG-19 fighters pursuing Powers, piloted by Sergei Safronov, was also destroyed in the missile salvo.. The MiGs' IFF transponders were not yet switched to the new May codes due to the May 1st holiday. A close study of Powers' account of the flight shows that one of the last targets he had overflown was the Chelyabinsk-65 plutonium production facility. By photographing the facility, the heat rejection capacity of the reactors' cooling systems could have been estimated, thus allowing a calculation of the power output of the reactors. This then would have allowed the amount of plutonium being produced to be determined, thus allowing analysts to determine how many nuclear weapons the USSR was producing. Four days after Powers disappeared, NASA issued a very detailed press release noting that an aircraft had "gone missing" north of Turkey. The press release speculated that the pilot might have fallen unconscious while the autopilot was still engaged, even falsely claiming that "the pilot reported over the emergency frequency that he was experiencing oxygen difficulties." To bolster this, a U-2 plane was quickly painted in NASA colors and shown to the media. After learning of this, Soviet Premier Nikita Khrushchev announced to the Supreme Soviet of the Soviet Union, and thus the world, that a "spyplane" had been shot down but intentionally made no reference to the pilot. As a result, the Eisenhower Administration, thinking the pilot had died in the crash, authorized the release of a cover story claiming that the plane was a "weather research aircraft" which had strayed into Soviet airspace after the pilot had radioed "difficulties with his oxygen equipment" while flying over Turkey. 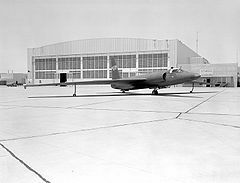 The Eisenhower White House acknowledged that this might be the same plane, but still proclaimed that "there was absolutely no deliberate attempt to violate Soviet airspace and never has been", and attempted to continue the facade by grounding all U-2 aircraft to check for "oxygen problems." I must tell you a secret. When I made my first report I deliberately did not say that the pilot was alive and well… and now just look how many silly things [the Americans] have said. Not only was Powers still alive, but his plane was also essentially intact. The Soviets managed to recover the surveillance camera and even developed some of the photographs. The incident resulted in great humiliation for Eisenhower's administration, caught in a lie. Powers’ survival pack, including 7500 rubles and jewelry for women, was also recovered. Today a large part of the wreck as well as many items from the survival pack are on display at the Central Museum of Armed Forces in Moscow. A small piece of the plane was returned to the United States and is on display at the National Cryptologic Museum. The Four Power Paris Summit between president Dwight Eisenhower, Nikita Khrushchev, Harold Macmillan and Charles de Gaulle collapsed, in large part because Eisenhower refused to accede to Khrushchev's demands that he apologize for the incident. Khrushchev left the talks on May 16. The Soviet Union convened a meeting of the United Nations Security Council on May 23 to tell their side of the story. The meetings continued for four days with other allegations of spying being exchanged, as well as recriminations over the Paris Summit, and a US offer of an "open skies" proposal to allow reciprocal flights over one another's territory, at the end of which the Soviet Union overwhelmingly lost a vote on a concise resolution which would have condemned the incursions and requested the US to prevent their recurrence. Powers pleaded guilty and was convicted of espionage on August 19 and sentenced to 3 years’ imprisonment and 7 years of hard labor. He served one year and nine months of the sentence before being exchanged for Rudolf Abel on February 10, 1962. The exchange occurred on the Glienicke Bridge connecting Potsdam, East Germany, to West Berlin. Another result of the crisis was that the U.S. Corona spy satellite project was accelerated, while the CIA accelerated the development of the A–12 OXCART supersonic spyplane that first flew in 1962 and began developing the Lockheed D-21/M-21 unmanned drone. The incident severely compromised Pakistan security and worsened relations between the Soviet Union and Pakistan. As an attempt to put up a bold front, Pakistani General Khalid Mahmud Arif while commenting on the incident stated that, "Pakistan felt deceived because the US had kept her in the dark about such clandestine spy operations launched from Pakistan’s territory." The communications wing at Badaber was formally closed down on January 7, 1970. The original consensus about the cause of the U-2 incident was that the spy plane had been shot down by one of a salvo of fourteen Soviet SA-2 missile. This story was originated by Oleg Penkovsky, a GRU agent who spied for MI6. In 1996, Soviet pilot Captain Igor Mentyukov claimed that, at 65,000 feet (19,812 meters) altitude, under orders to ram the intruder, he had managed to catch the U-2 in the slipstream of his unarmed Sukhoi Su-9, causing the U-2 to flip over and break its wings. The salvo of rockets had indeed scored a hit, downing a pursuing MiG-19, not the U-2. Mentyukov said that if a rocket had hit the U-2, its pilot would not have lived. Though the normal Su-9 service ceiling was 55,000 feet (16,760 meters), Mentyukov's aircraft had been modified to achieve higher altitudes, having its weapons removed. With no weapons, the only attack option open to him was ramming. Mentyukov asserted that Soviet generals concealed these facts to avoid challenging Nikita Khrushchev's faith in the efficacy of Soviet air defenses. In 2000, Sergei Khrushchev wrote about the experience of his father, Nikita Khrushchev, in the incident. He described how Mentyukov attempted but missed intercepting the U-2, failing even to gain visual contact. Major Mikhail Voronov, in control of a battery of anti-aircraft missiles, fired three SA-2s at the radar contact but only one ignited. It quickly rose toward the target and exploded in the air behind the U-2 but near enough to violently shake the aircraft, tearing off its long wings. At a lower altitude, Powers climbed out of the falling fuselage and parachuted to the ground. Uncertainty about the initial shootdown success resulted in thirteen further anti-aircraft missiles being fired by neighboring batteries, but the later rockets only hit a pursuing MiG-19 piloted by Sr. Lt. Sergei Safronov, mortally wounding him. Sergei Safronov was posthumously awarded the Order of the Red Banner.